It’s been far too long. Far too long since I’ve posted, far too long since I’ve had the chance to get my craft on. Just far too long. We’re now at that awkward stage where Molly has given up her morning nap, but is not entirely happy about it. The mornings are so incredibly long now and are going to take some getting used to. I’m still figuring out when I can shower and get dressed and not look like a lunatic when taking a chaotic jaunt through the neighbourhood. There has been alot of Postman Pat, Bob the Builder, Pocoyo, snacks, snacks and more snacks! Oh the life and times of the stay at home mum. Once again I provide you with thrilling reading material! Hmm…. 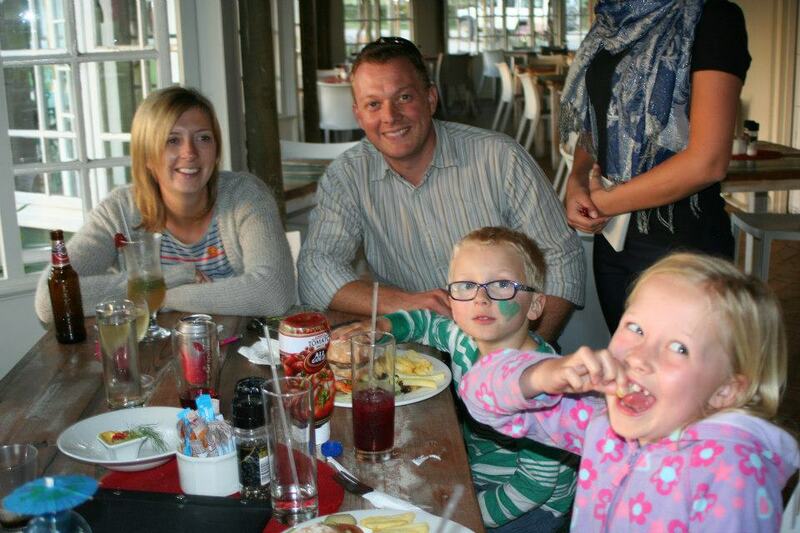 Anyway, in lieu of being able to share the latest project or post a tutorial (that I know I promised weeks ago) I thought I’d take this opportunity to share with you a little about my eldest sister and her family who currently live and work in Grabouw, South Africa, a small town about an hour east of Cape Town. I am immensely, overwhelmingly proud of Emily and Rob and all that they have done, are doing and will continue to do. Since visiting them very briefly in 2010 and getting the faintest of glimpses into what life is like for them, I find it increasingly difficult to talk (or type, seemingly!) about their work without crying. I choke up every time and as a result do a very poor job of relaying what it is they are actually up to. So even though there are tears on my cheeks as I type, I will at least try to share a little. Thembalistha (Xhosa for New Hope) is an organisation that runs 7 projects in the Western Cape of South Africa. The Village of Hope is one of those projects which is where Em and Rob are based. The project is headed up my Tim and Maz Walker who moved from The Vineyard Church in Aylesbury, England to Grabouw in order to get this project off the ground. Em and Rob went for a sneaky little visit a few years later and hey presto! Look where they are now! The Village of Hope is set amongst a large community of people who are living with a HIV and TB. Despite TB being a curable disease, Grabouw has one of the highest infection and fatality rates in the world. The staff and volunteers at the Village of Hope run a child care facility to care for the children with HIV and TB who cannot be looked after by their families in their present condition. A team of ‘House Mums’ from the community look after the children and provide them with love and care in a fun and safe environment. Many of the children who come to the children’s unit have been placed back with families into a secure and safe environment. The Voh team also head up sports out reach programmes to teach key bible-based life skills, such as team work, as well as tackling other issues like personal health and hygiene. This allows the team to have a presence in the community and to build close relationships with the children and families of Grabouw. You can read so much more about The Village of Hope on their blog and see more about the wider work of Thembalitsha here. It really is incredible what they’re doing. So why the tears? I suppose I’m just bowled over by the magnitude of what they’re doing. That they’re stepping out into uncharted territory, making themselves vulnerable and pressing on ahead regardless of set backs and break ins and riots and some really pretty scary stuff. It amazes me that people are daring and brave enough to give up their family home, their comfortable income, their family and their friends to travel to the other side of the world and live in such a volatile, but beautiful place. With two small children. Not knowing what’s going to happen, how long they’re going to be there, how it will all work out, but trusting that God has it all figured out. Amazing. 06 Mar	This entry was published on March 6, 2013 at 6:47 pm and is filed under Uncategorized. Bookmark the permalink. Follow any comments here with the RSS feed for this post.